M-16 20rd Magazine. 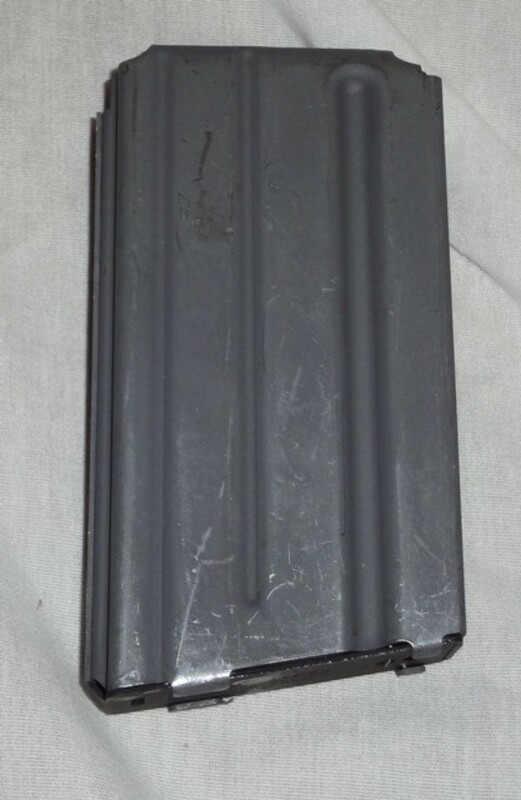 New manufactured 20rd Magazines for the M-16 family of rifles. 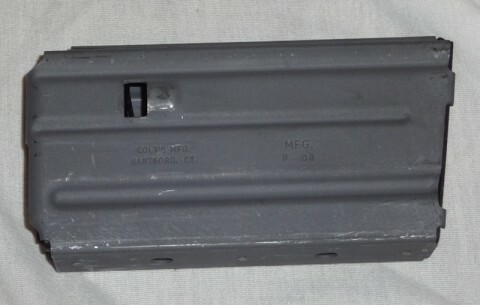 Magazines are mil-spec with an aluminum, hard-anodized body with dry-lube coating. 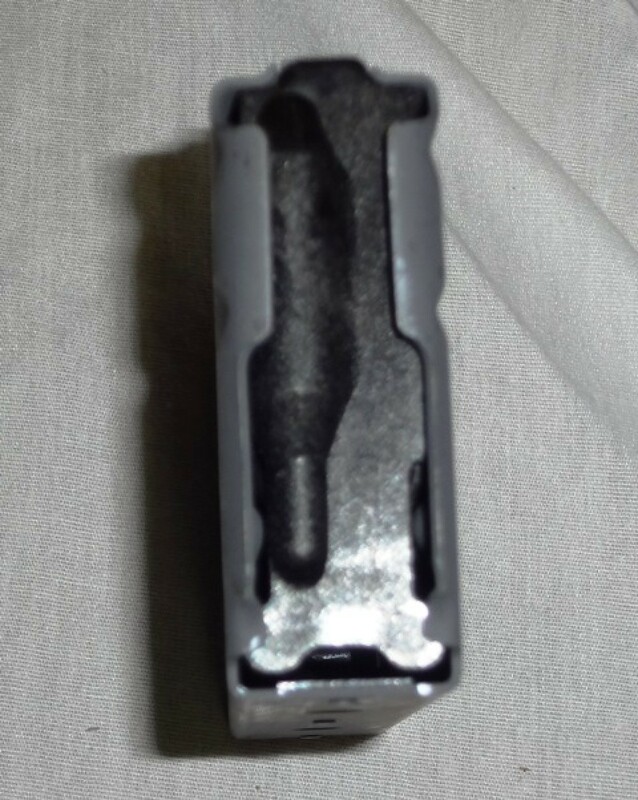 Fiberglass-filled plastic follower. Magazines also feature a dry-lube-coated chrome silicon (CS) spring. Magazines are in new condition showing only storage wear and marks (typical for dry film lubed finishes). 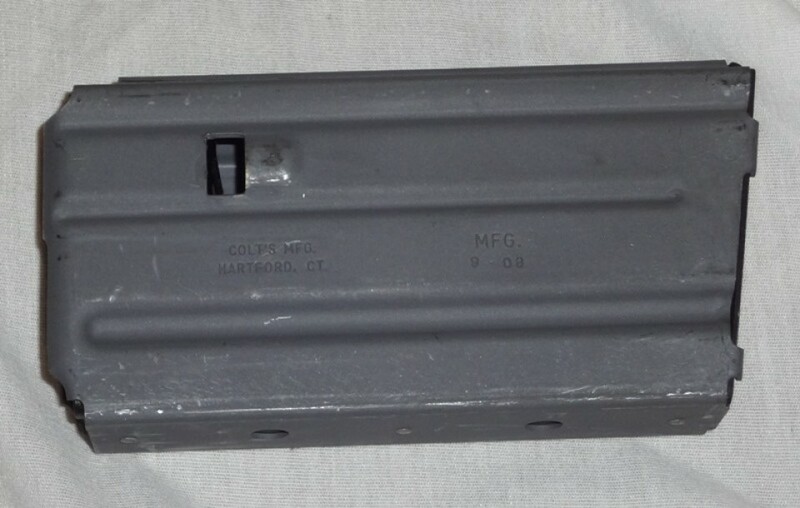 These are post ban built magazines, so there is a small date code on the magazine body. New improved followers. US sales only. Do not order if your state has a high capacity magazine ban.